At heart I am a freedom-seeking, ever learning student of life who loves people and spreading messages of life-altering, PowHER and purposeful transformation. It is soul-touching to receive emails and direct messages from complete strangers which read, I am being so impacted by your messages of PowHER and purpose. They are making me see that there is so much more to me than I have been allowing others to see, and I want to meet that woman. 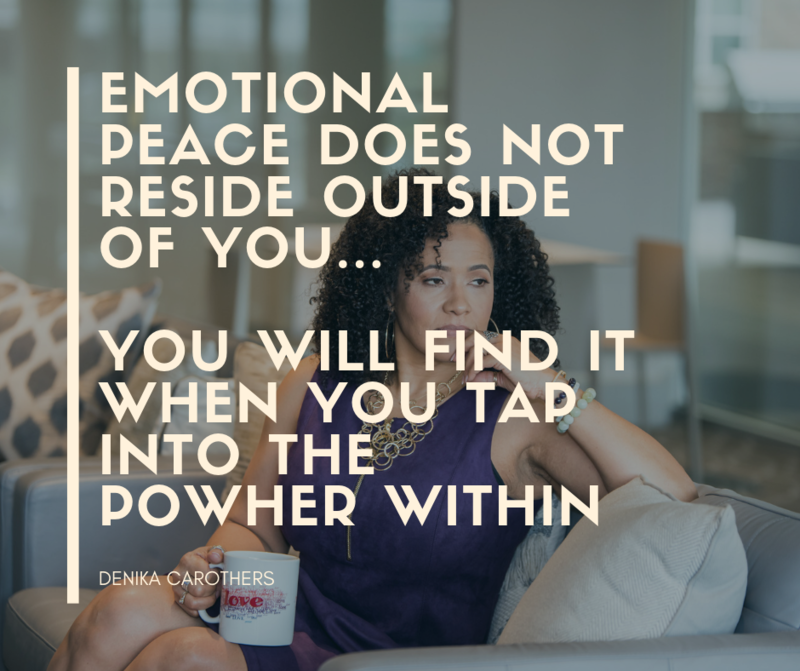 I am a Spiritual Life Coach, an author and a speaker and I help women connect to their PowHER within. I know what it is like to feel rejected, powerless and afraid. My work is a mix of thousands of hours of research and training plus life lesson's learned the hard and painful way. I create PowHERful, Awakened women who respect and believe in themselves by giving themselves permission to be who they REALLY are and who they were created to be. My well-being became a priority after I collapsed in my office building on the other side of the tragic, sudden death of my only sister and a divorce. Chronic stress, borderline depression and anxiety were trying to overtake me. I was diagnosed with mitral valve prolapse and fibromyalgia. It was time to seek for Spiritual clarity and connection. Not having anyone that I trusted to share and process the severe emotional pain I was experiencing, I began seeking outside of what I had been taught in religion. I began with this prayer, "God I want to know the truth of who I am, why I am here and what it is that I am supposed to be doing with my life. And if I have to unlearn everything that I think I know, I am willing to do that. I just want peace in my life." This prayer opened my soul up to a whole new awareness and understanding of life, love, and spiritual connection. ​For the first time in 30 years, I felt genuinely free and a peace that I had never known before. Spirituality saved my life. My prayer life turned from an outward expression to an inward connection. I intuitively connected to modalities to rebalance emotional imbalances and unhealed wounds. Through these methodologies, I became master of my emotions and my thoughts rather than being mastered by them. ​The anxiety stopped, the depression lifted, the mitral valve prolapse condition and fibromyalgia disappeared and I tapped into the PowHER within. I invested thousands of hours and dollars in courses, coaching and resources to answer one burning question, Who am I? When I was bold enough to ask this question with the expectancy to get an answer I heard Spirit very clearly say, "You are the incarnated being of God, you are God incarnate." Honestly, it took me a minute (actually many minutes) to process this because this was something unlike anything I had ever heard before and frankly, initially, it scared me. But there was something so powerful and yet resonant about this that I pushed the fear to the side with the intention to dive deep into this newfound truth about myself. I realized that my life had set my path. When I followed the Divine leading to relocate from my home of the Bahamas to Houston Texas, the stars aligned for a career in spiritual life coaching and empowered leadership to find me. I became a Spiritual Life Coach and Womb Energy Specialist and connected with women who were in search of their purpose, emotional healing and tapping into the PowHER within. And I authored my first published book, Who in the Hell Do You THINK you Are? I work with thousands of women all over the world and teach them how to Reclaim their Divine Feminine PowHER. I wake up every day excited to be alive and loving every minute of what I do. I'm grateful for every experience that I have had for it has all served to shape me into the PowHERful woman I am today... and I REALLY like that woman, A LOT.